Brand new album, A Letter Of Red, coming April 26th on Svart Records! SABBATH ASSEMBLY and MESSA live in Europe this May! 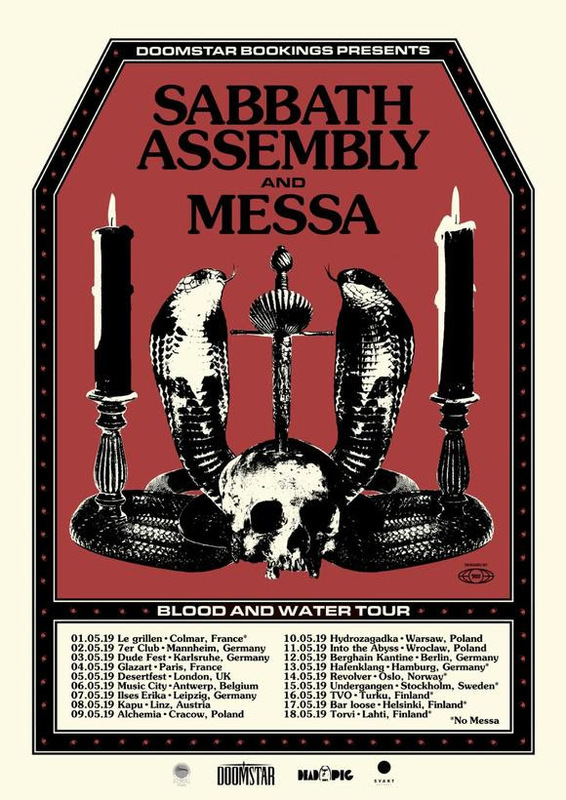 Texas/NYC-based dark rock veterans, artist collective SABBATH ASSEMBLY will embark on a comprehensive European tour May 1st-18th from London to Helsinki, with co-headliners MESSA joining on selected dates! Sabbath Assembly touring in support of their new album, A Letter of Red, to be released on April 26th with Finland’s cult label SVART RECORDS. 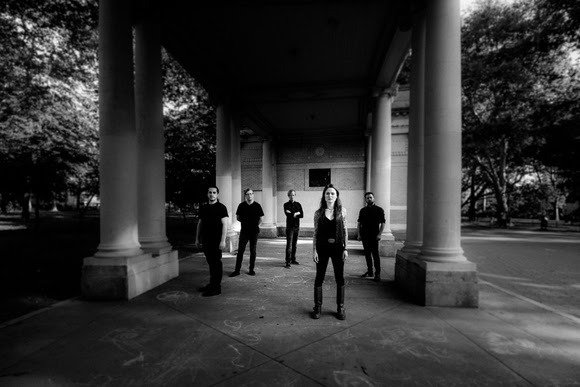 The band will be playing songs from their last three albums featuring the powerful guitar work of Kevin Hufnagel (of Gorguts) and vocalist Jamie Myers (ex – Wolves in the Throne Room). Expect their latest songs to bring out the “ROCK” in OCCULT ROCK! The group’s seventh studio album, and follow-up to 2017’s Rites of Passage, A Letter of Red was recorded at Figure 8 Studio in Brooklyn with Producer Randall Dunn (Black Mountain, SunnO))), Earth). A Letter of Red marks a return to the shortened song form and tight production of their debut, while demonstrating ten years of songwriting prowess and lyrical advancement. The music and lyrics on The Letter of Red tell eight haunting stories, and owe more to the galloping hard rock of the 70’s: Guitarists Kevin Hufnagel and Ron Varod (Kayo Dot) reference Heart and Judas Priest on the album’s hard rockers, while acoustic moments bring to mind Current 93 and Jethro Tull. Vocalist Jamie Myers (ex-Hammers of Misfortune and Wolves in the Throne Room) performs with the stripped down clarity of Peter Murphy and Siouxsie in the 80’s, bringing a true Gothic tinge to the metal riffs for a totally unique combination!